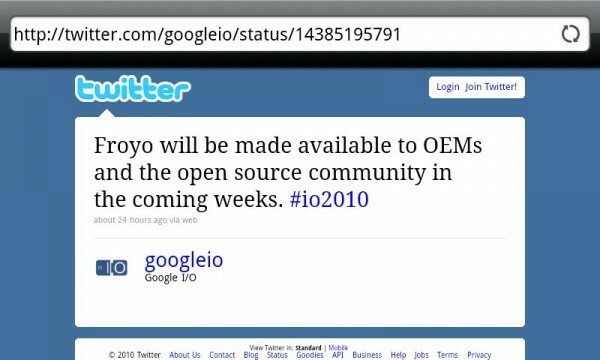 Sending Android 2.2 to OEMs and open source community in the coming weeks is a good thing, right? Definitely. (Hello 2.2 ROM anyone?) Continuing to expect the Motorola Droid or Droid Incredible to receive the update sometime in June? Probably a reach. For those not familiar with the terminology, an OEM is the “original equipment manufacturer” meaning Motorola, HTC, Samsung, etc. And as we’ve seen in the past, they are not always the swiftest when it comes to releasing OTA updates to carriers and end users. We should point out though, that OEMs and carriers are no longer Android update virgins. They’ve done this now a few times and we should hope that their mistakes were used as learning tools. Are we back to our August prediction?